I have always loved eating out with the kids. Yes, there have been stressful times as Alicen threw up a LOT when she was two and three years old. And yes, occasionally we’ve had to cut things short over behavior or exhaustion. That said, eating out can be a very pleasant experience with children at any age. There are several basic things to consider when choosing a restaurant with young children. Kid friendly – Some children need more practice than others at learning to speak quietly and sit at a table. The idea is to start at very kid friendly restaurants. With little ones, we go to restaurants like Chili’s where it is okay if they are occasionally loud. Kids’ menu – It may be helpful to check out menus online or to call ahead and ask about menu options. The best kid’s menus we’ve seen are at Legal Seafood and Firefly. Other times we just order them extra plates, and then split off our own. Things to do – It can be so helpful when a restaurant offers some activities. Bertucci’s offers kids dough to play with, Macaroni Grill lets them draw on the paper table cloth and Cracker Barrel has the peg game and five page coloring book menus. Things to look at – In our area, Mango Mikes has a huge fish tank that children can see from the dining room or up close if their parents walk them near the bar. The National Gallery of Art Cascade Café has a waterfall outside a picture window to look at and moving walkway for something to do. The Rainforest Café has an amazing amount to look at. Kids’ area – Some restaurants go as far as having a kids’ area. This can be a play area like at IKEA or Generous George’s, or a seating area like at Paradiso. Paradiso has a kids’ room where children sit at small picnic table and eat while watching Disney movies on a big screen TV while parents have a nice meal in the next room. While this defeats the social piece and learning to sit with parents, it’s another fun option. Kids’ trinkets – Mango Mikes has a wall full of party favor type toys for children to pick from. Stardust gave little plastic figures on their drinks. We grew a collection of their mermaids and elephants. Plan to walk around – Sitting through the meal itself can be a long stretch for little ones. If you go in planning to walk around the restaurant or even outside with them once before and once after the meal, it may help them to sit longer and make the experience less frustrating. Activity bag – It can be helpful to carry a “restaurant bag” in your car at all times. This is a bag that has small notebooks and pencils, stickers, small Playdoh and a few party-favor toys. This bag only comes out once menu items have been chosen, goes away when the food comes and can be available again once they eat. The trick is to not have it available at other times like when you are stuck in traffic. If they get to play with it other times, it likely won’t hold their attention in the restaurant. Conversation WITH them – This is probably the most important point, spend your time speaking with your children. At any age, include them in the conversation. Ask them questions and share your time. Teach them that meals are a pleasant and social time. Contribution during – Contribution in general is giving children jobs related to a transition or other daily function. At home, this includes them matching cups to lids or taking drink orders when you are making dinner. At a restaurant, this might include them folding and refolding napkins, buttering rolls, passing food or putting food on a fork for you. 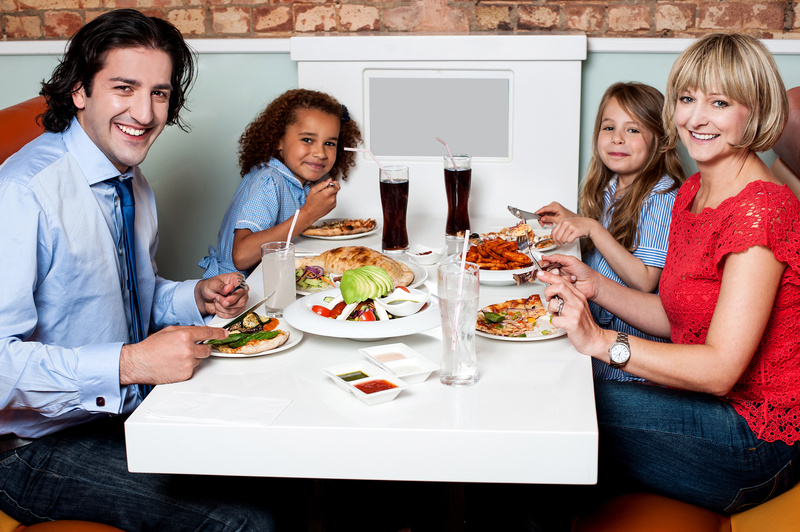 Sit at a booth – If your kids are often up and down from the table, a booth might be helpful so you can box them in. Sit outside – If it’s available, sitting outside tends to give kids lots to look at and others may be more forgiving of noise. Plan dinner on the early side – Eating late, children are more likely to be tired and hungry which is a recipe for disaster. It’s better to go early when everyone is fresh. First, I would ask for what they typically do and say at daycare. If this is going smoothly there, maybe replicate what they are doing. Also, take her to the potty there yourself at drop-off and pick-up. It may be helpful for you to be associated with that success. If available, maybe purchase a similar potty seat or ring for home. At home, I would do all the small things to encourage interest including reading potty training picture books, watching the potty videos, letting her observe while others potty and playing potty with doll babies or a dollhouse set. Bigger things to encourage her to more fully participate include offering her choices, descriptive praise and language of ownership. Choices include, “would you like to use the upstairs or the downstairs potty?” or, “do you want to sit on the little potty or the big potty?” Here is a link to a previous post on choices: https://parentingbydrrene.wordpress.com/2012/10/01/how-choices-work-in-positive-discipline/. Descriptive praise is being behavior specific when you catch good behaviors. This sounds like, “you knew you had to go. You got to the potty quick!” or, “you were taking care of your body. You put all your poop in the potty!” Here is a link to a youtube video on descriptive praise: http://www.youtube.com/watch?v=_LH6Y-qPnAo&feature=relmfu and the differences between descriptive and evaluative praise: http://www.youtube.com/watch?v=rn2Ddh16xIY. The language of ownership is saying something along the line of, “do you know you are the only one in the whole world who really knows when you need to pee? I don’t really know that from out here. That’s your job.” or, “you are in charge of when you go potty. When you feel that pressure on your bottom that you need to poop, it’s your job to go potty.” The idea is to encourage them to take ownership without adding pressure. Use this langauge maybe every other day and not around the time of an accident, it shouldn’t sound like discipline. Do what you can ahead – This may be baking desserts, making and freezing side dishes the days before or really cleaning the house over the weekend. Hire out what you can – I cheat. Each year I have at least one store bought dessert and side dish that I may claim as my own. Not a luxury I have often, but occasionally we have a housecleaning service before the holidays and out of town guests. Keep children busy during prep – If you have an extra adult who is available outside the kitchen, have them lead a nature walk or help children to browse toy catalogs to cut and paste a Holiday wish list. If they are really gung-ho, provide a pre-formed ginger bread house with frosting and decorations (left over halloween candy in my house) for the children to make a centerpiece. OR Involve them during prep – If they are old enough, include them in the preparations. Children can color placemats, write menus, butter vegetables, knead pie crust, take drink orders and set tables. Stick to normal routines – This means mealtimes and naps as much as you can. This can go a long way towards a pleasant day for all. Include kid-friendly food – I tend to think traditional Thanksgiving food is pretty kid-friendly. Still, it doesn’t hurt to be sure there will be mashed potatoes or mac and cheese if it’s a favorite. Use contribution during the meal – Children love to help. Encourage them to butter rolls, carry plates or refold napkins as needed. Discipline in private – To provide a pleasant mealtime for all, step away from the table for discipline. Set expectations a bit lower – Remember they are children. It can be a challenging day particularly if they’ve travelled, are not sleeping in their own room or sharing their room with a cousin. It costs children nothing to whine all afternoon. If you try to ignore it, they will outlast you. They will outlast you because whining requires so little effort on their part. You will break before they will stop whining and when you break, however you do it, you are likely reinforcing their whining. First, fix the situational conditions. If they whine because they are hungry, feed them earlier. If they whine because they are tired, change their nap schedule. If you don’t know why they whine, chart it for a while. You might get to the end of the week and realize you need to shuffle things around. If children are always whining when you are on the phone, get them settled into an activity before you make a call. You might realize they are always whining over buying things. If that is the case, address the problem before you shop. Be proactive. You might explain there will be no extras. When one of my girls asked for an item, we added it to a “birthday wish list” I kept in my purse. You can also distract children by giving them a scavenger hunt for the necessary items on your shopping list. Look for the triggers and then avoid or fix them. There is a whining trap when children are young. When they are two years old, and they whine when asking for a cookie, we think, “oh, it’s just a cookie,” “she’s only two,” or, “wow! She used her words to ask for something.” In any case, we often let the whining go. When the child is a year older and continues to whine, we find it incredibly annoying. Unfortunately, we’ve already told the child that whining is an acceptable behavior. It’s better to address whining as it starts. Whenever your child asks for something in a nice voice, catch them being good. Notice and describe that voice that you like. You might say, “hey, that was a lovely way to ask,” or, “what a grown up voice. That sounded nice.” It doesn’t matter whether your answer to their question is “yes” or “no.” It does matter that you take the time to reinforce the voice you want to hear more of. Staying ahead of the whine means you respond more promptly to a child’s normal tone of voice. This might seem difficult, but realize that a child is probably not whining on her first request; she is whining on her third or fourth request. Answer her on her first. Not allowing children to escalate means once they do start whining, intervene on their first sentence not their fourth. If they continue, they are just practicing whining. Never reinforce whining. Intermittent reinforcement works the same for whining as it does for tantrumming. If you give in to whining every tenth time because you are tired, busy or it’s just a cookie, you are more strongly reinforcing whining than if you gave in every time right away. Again, I am not saying to give in; I am saying to be consistent and never give in. To curb whining, there is a series of steps you can take. The steps are logical negative consequences that gradually get more intense. They add a cost to the whining behavior. These are the same steps whether you have a two-year-old who is just starting to whine or a six-year-old who is whining out of habit. The only difference is that younger children require more time to practice each step. The first step is to have them consistently fix their voice. The next time a child comes to you with a whiney voice asking, “can I haaaave a cooookieeee?” you say, “oh! I can’t hear that voice. Try again with a nice voice.” Most six year olds know what you mean, and they restate in a nicer tone, “can I have a cookie, please?” Most two and three year olds have no idea what you mean. For them, at least initially, you have to model the language you want by adding in a cheery tone, “you could say, ‘cookie please?’” Even the younger ones should be able to restate after being given a model. When they do restate in a nice voice, catch the good behavior. Say, “wow! that sounded lovely, that was the voice I was listening for.” And, then “yes” or “no” to the request, or just continue the conversation. It’s not if you ask in a nice voice that answer is yes, it’s if you ask in a nice voice, I can hear you and answer. If you only have them fix when the answer is “yes” you are intermittently reinforcing by sometimes participating with the whining voice. I want parents to stay at this step until their children really get it. When the parent says, “I can’t hear…,” children should to be able to fix their voice right away and come up with the better language on their own. For six year olds, this should only take a few weeks. For two and three year olds, it can take months. This is fine. It is a far better practice to have children continually fixing their voices rather than practicing the whining. Once children completely understand that the whiney voice won’t be heard, and they can fully come up with the improved tone when directed to do so, parents can increase the cost through a delay or repetition. To use a delay and increase the cost, parents can say, “you know that’s a voice that I can’t hear. You’ll need to find another way to say it. From now on, when I hear that voice you can fix it, but in a minute.” This increases the cost of whining. When the child whines, there is now a delay before his request can even be heard. For this tactic to work, parents must be consistent. Every time there is whining, no matter how inconvenient, parents must follow through with the delay. Intermittent reinforcement makes parenting harder. So when children whine, parents might say, “oh! I can’t hear that voice. Try again in a minute.” Be prepared that, at first children will fix their voice immediately and expect you to respond. When you remind them of the delay, they may get frustrated. They may tantrum. They may follow you around the house asking in a nice tone for the several minutes they are supposed to be waiting. Don’t be caught off guard. The alternative would be to use repetition. The parent can say, “you know that voice that I can’t hear. Starting today, you’ll need to find two nice ways to say it.” A few weeks later three nice ways. So when the child whines, and you have them fix, follow it with, “that’s one nice way. What’s another nice way?” Children don’t want to ask in two nice ways, and the answer might still be “no.” Children are also getting a lot of practice at the nicer voice. When you increase the cost, most whining stops. That can be the end of this process for most families. Actually, the first step may be the end of this process for families. There is nothing that says you have to increase the cost. Whining may not be so problematic; you may always have them fix their voice without a delay. In my house, whining is a bit more problematic. I spend most of my mornings with families and their young children. My husband has an exhausting job. We are on the go. By the time we are all home, there isn’t much energy left to manage whining. We increased the cost again. When my kids reached six years old, they’d had a great deal of practice at each step before we increased the cost. In our house and beyond six years old, if you whine, the answer is no. As much as I might want to, I can’t. That voice means the answer is no. When whining becomes a completely ineffective behavior, children basically stop. When my children do whine, I know it is time for them to lie down and rest; they are at the end of their rope. I would never do this with a younger child, and it’s not fair to start there even with an eight-year-old. To be fair, all children start at step one. Staying calm when your child is misbehaving can be a difficult thing to do. I think part of the answer lies in where you place your focus. Often parents feel responsible for their child’s behavior. The misbehavior feels like a direct reflection on you. If you think other’s are judging your parenting based on the child’s behaviors, it is easy to lose your cool. To calm, shift your focus. Think of being responsible to them rather than for them. For example, you and your three-year-old are having lunch together at a restaurant. They are busy eating their mac & cheese when all of a sudden, they fling a forkful and hit a person at the next table. You are not responsible for them throwing food. You didn’t arm and aim them. You are responsible to model, teach apologies, to address and curb the behavior. You are responsible to teach them how to behave in restaurants moving forward. Another example, your eight-year-old decides to skip spelling homework and studying for a week and gets a poor grade. You are not responsible for the grade. It is not your homework. 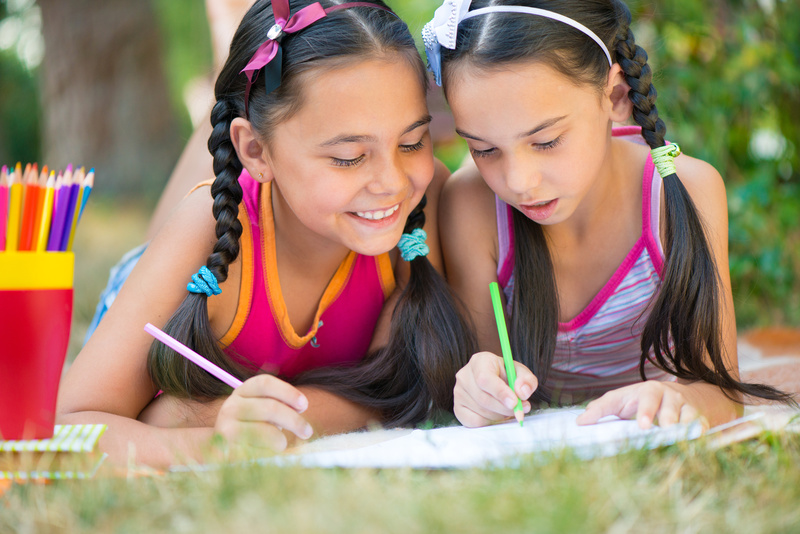 You are responsible to help them understand the importance of homework and studying moving forward. You are responsible to check their homework completion in the next few weeks while they get back on track. You are responsible to sort out whether this was truely a dip in effort or a bigger learning difficulty. Overall, this means to focus your efforts on what you can control. If you are so narrowly focused on changing their beahavior, you are likely to feel frustrated. Focus on the piece you can control. Rather than focus on changing their behavior, focus on changing your reaction to their behavior. Focus on building skills to better address, manage and teach about behavior.